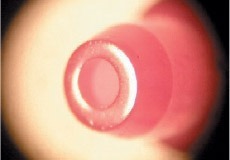 Ruby Nozzles | TECDIA. Let's do this. Specialized nozzle fitted with polished Ruby tip for durability and high fluidity. Due to the low static friction properties of the ruby, we are able to achieve high fluidity. 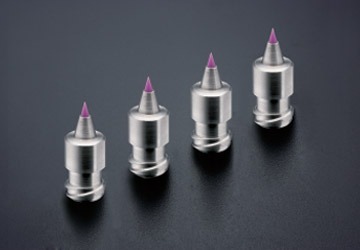 With an ID of ø0.05 ~ ø0.50 available, more precise dispensing is possible. 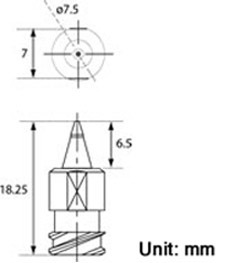 The nozzle tip is polished to avoid material instability and accumulation caused by difference in the surface tension between the nozzle tip and dispensing material. 2255 S. Bascom Ave., Ste. 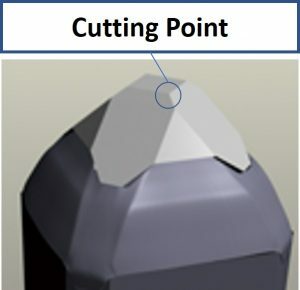 120, Campbell, CA 95008, U.S.A.
・ Characteristics: With the cutting point at the tip, toe point tools yield a sharp and narrow scribe line which is ideal for softer wafer materials that only require minimal scribing pressure. 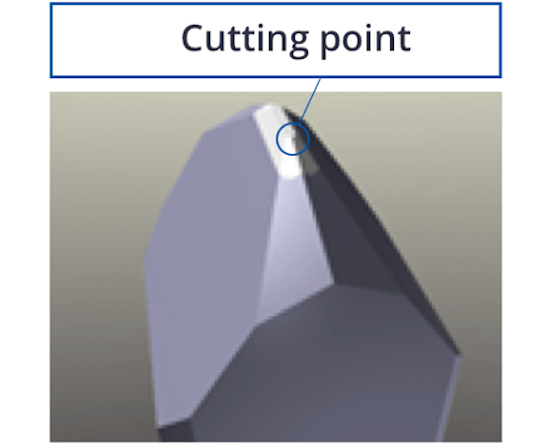 ・ Characteristics: Unlike the toe point, the triangular heel point has a wide cut line making it ideal for thicker and softer materials which also helps to reduce chipping. 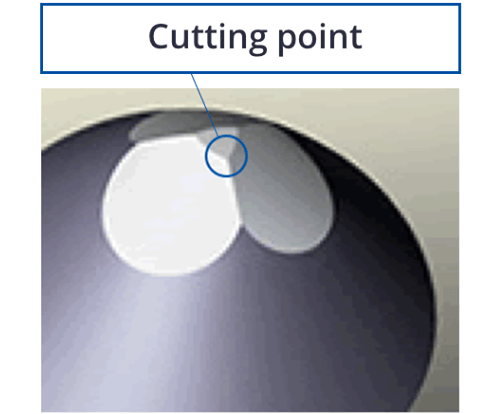 ・Characteristics: The curved ridges surrounding the cutting point allow for maximum downward force yielding a wide and deep scribe line. This tool type is commonly used for hard and thick wafer materials. ・Characteristics: A sharp and narrow cut point allows for scribing deep trench, bump or mesa structures without touching the trench edges. 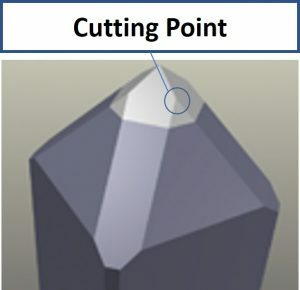 The cutting point is similar to 4 point toe tools but much thinner for clearance.